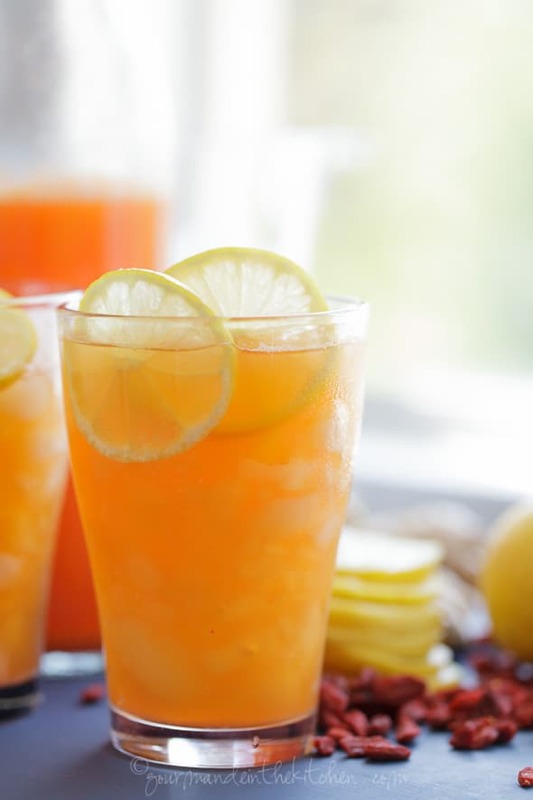 A healthy and thirst quenching drink that tastes as good as it makes you feel. The first thing I do at the beginning of each week is make a batch of switchel. 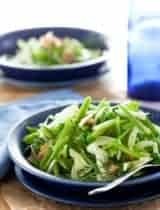 It’s become a staple in my daily routine and I predict will become a standard in yours too once you try it. If you’ve never heard of switchel before, it’s an old fashioned drink (also called haymaker’s punch) that’s making somewhat of a comeback recently. Consider it the original electrolyte drink, without all the artificial color and high fructose corn syrup of course. Switchel certainly has a lot going for it (1) it has a minimal ingredient list; (2) it takes minutes to make; and (3) is incredibly refreshing. 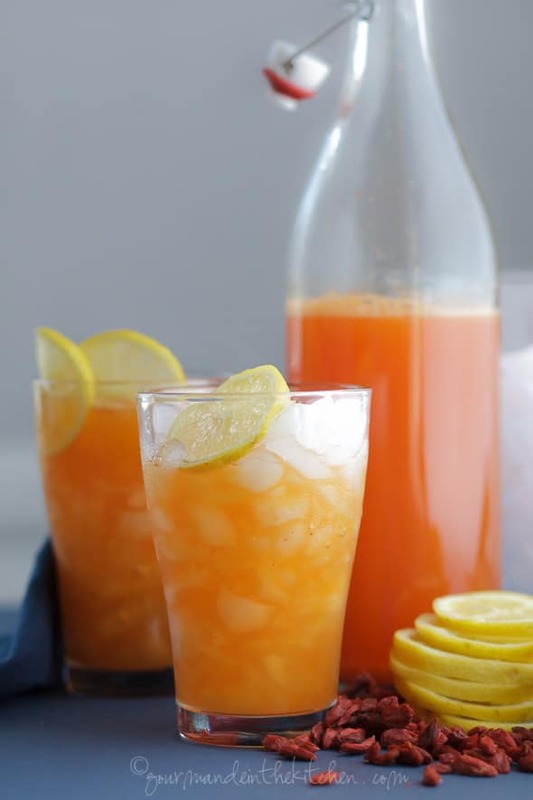 Traditionally made with apple cider vinegar, ginger and a sweetener like molasses, honey or maple syrup it’s is remarkably thirst quenching on a hot day, especially when poured over ice. Beyond its thirst quenching abilities however, switchel offers additional benefits, like the anti-inflammatory power of fresh ginger root, and the blood sugar stabilizing and digestion enhancing effects of apple cider vinegar. Although not traditional, I like to add lemon juice and goji berries for and extra vitamin and anti-oxidant boost. (Did you know that ounce for ounce goji berries contain more vitamin C than oranges, more iron than spinach and more beta-carotene than carrots?) 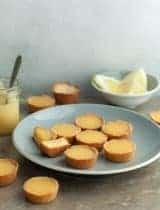 You can use whatever sweetener you prefer, but I’m partial to a combination of raw honey with just a spoonful of molasses added for spice and mineral content. 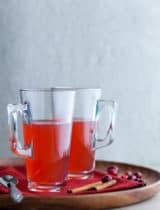 I find myself craving its tart, spicy and ever so slightly sweet flavor and will sip on a glass after meals to help with digestion or when I need a little boost of energy on a hot day or after a long walk. 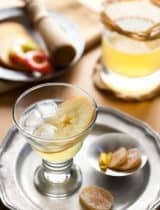 The ginger gives it a nice zing, while the apple cider offers a crispness and tartness that’s nicely balanced by just a touch of sweetness from the honey and a hint of spice from the molasses. 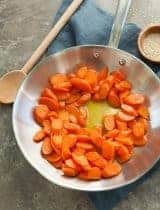 Have you ever tried switchel? Combine all ingredients in a high speed blender. Blend on high until combined. Pour into a large mason jar or glass container and cover and refrigerate for at least 2 hours or overnight. When ready to serve, pour through a fine mesh strainer and serve over ice. 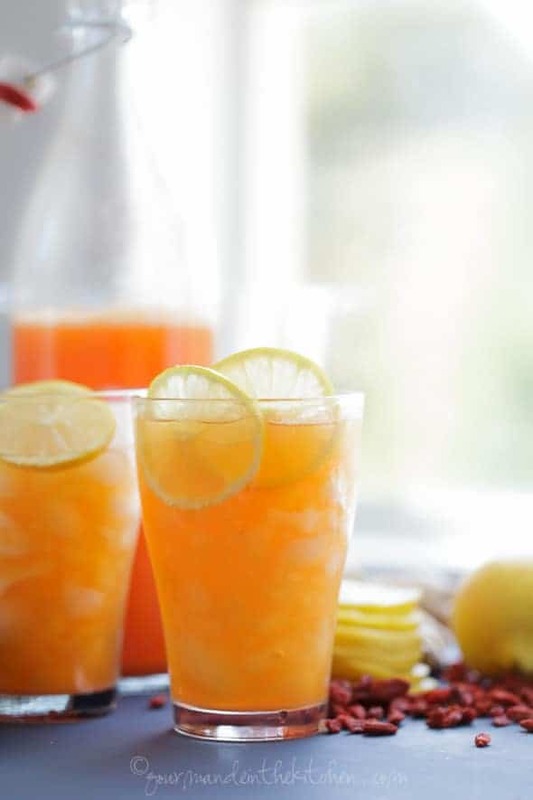 Mm this sounds deliciously refreshing, and I just happen to have all the ingredients on hand! How refreshing does this look?!?! I wish I had a sip of this right now!! Thanks for sharing! 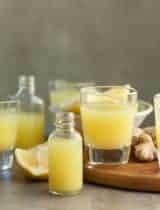 Wow this drink looks so refreshing and zingy, I've never had anything like it so am intrigued as to the taste! 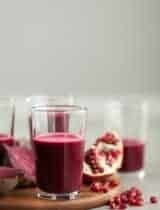 This looks like a great go to supplement drink, it seems to have a lot of health benefits! I am so intrigued by this drink. It sounds so refreshing and healthy and a great change of pace from water. I plan to give it a try. I have never heard of switchel before, it sounds rather interesting. Quite perfect for hot summer days. I have never heard of switchel before, but I love the sounds of this!! I happen to love ACV. Definitely going to try this! Beautiful photos too!! I've never heard of a switchel, but I'm more than a little intrigued, and I can't wait to try it! I have a feeling this will be my new go-to drink for long hikes in the mountains, it sounds like the perfect way to stay hydrated and keep balanced. I never heard of that drink before but it sure does look perfect for the season. The color is simple gorgeous! First time hearing about switchels but I have had haymaker's punch and I'm a big fan. Love that apple cider vinegar and how it provides such wonderful zing. This looks perfect for a big outdoor party on the Cape. Sure to be a huge hit. 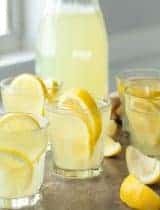 I make a homemade electrolyte drink but have never made a SWITCHEL! Going to have to try this.